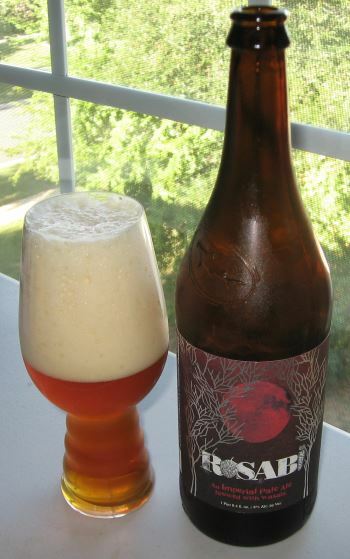 Rosabi is an Imperial Pale Ale from Dogfish Head with, as the name suggests, wasabi as the off-centered ingredient. It starts with a big sticky head that hangs around for a bit. The nose has a bit of pine, grain, and citrus, and wasabi hits your nostrils faintly right at the end as the other scents are fading. 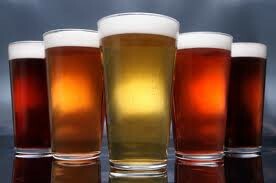 The middle is a big chewy Imperial Pale Ale, with citrus and honey, fading to pine and rind in the finish. The coup de grâce, however, right at the tail end, is strong wasabi. It’s not particularly hot, but that unmistakably pungent flavor is in full force and it strengthens as the beer warms. The body is medium to heavy, and the alcohol is 8.0 ABV, so it lives up to the “Imperial” billing quite well. It’s a bit of a oddity, and certainly not an every day beer, but it’s worth a try, especially for those of you who love wasabi as much as I do. 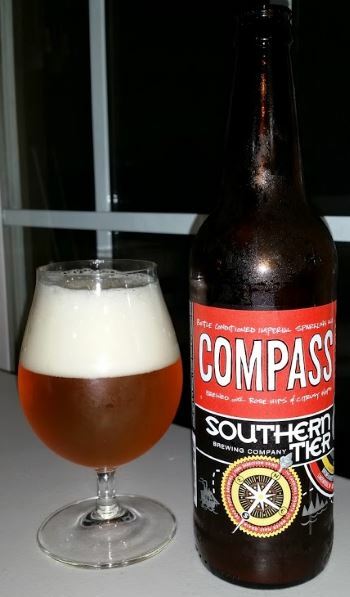 This entry was posted in Reviews and tagged Ale, Delaware, Dogfish Head, Imperial Pale Ale, Pale Ale on November 2, 2014 by Xander. 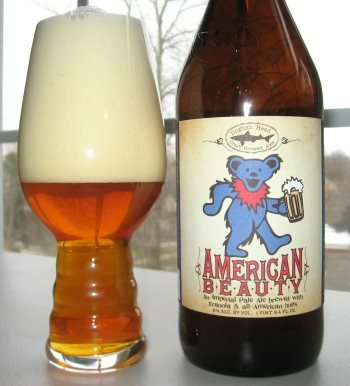 American Beauty is an occasionally brewed Imperial Pale Ale from Dogfish Head Craft Brewery. As with virtually all Dogfish Head recipes, this one comes with an off-centered twist, and in this case the ingredient is organic granola in homage to the Grateful Dead. The head is creamy. The nose is yeasty, with some caramel and a slight hint of orange. The middle is mostly balanced, with a bit more malt than hop. The flavors in the middle are caramel and orange, with a bit of rind and honey. There is some alcohol in the finish (and there should be, at 9.0% ABV) and a lingering sugar. The sugar right at the end is all that strikes me from the granola addition. It’s quite a nice beer, but not particularly special. This entry was posted in Reviews and tagged American Strong Ale, Delaware, Dogfish Head, Imperial Ale, Imperial Pale Ale, Pale Ale, Strong Ale on January 29, 2014 by Xander.